HomeComic Previews2000 AD Prog 1937 Out Now! 2000 AD Prog 1937 Out Now! 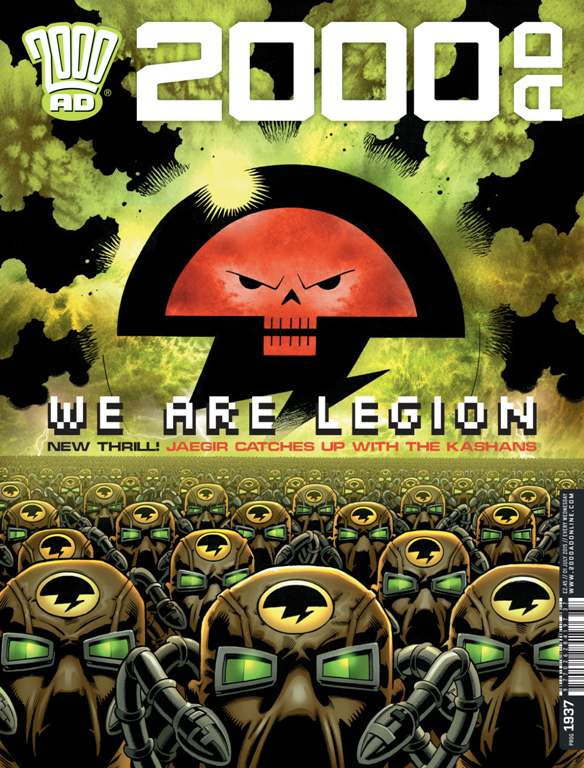 Get the latest Prog from 2000 AD! Judge Dredd: Blood of Emeralds by Michael Carroll, Colin MacNeil, Chris Blythe, and Annie Parkhouse; Absalom: Under A False Flag by Gordon Rennie, Tiernan Trevallion, and Simon Bowland; Jaegir: Tartarus by Gordon Rennie, Simon Coleby, Len O’Grady, and Simon Bowland; Outlier: Dark Symmetries by TC Eglington & Karl Richardson; Helium by Ian Edginton, D’Israeli, and Ellie De Ville.